Mobile Raptor: Samsung Galaxy Ace "Sleep of Death Issue"
Samsung Galaxy Ace "Sleep of Death Issue"
Six days ago I picked up a brand new Samsung Galaxy Ace. Five time in four days it suffered the so-called "Sleep of Death". The handset is still running, you can call it, but the phone itself will not ring and the cannot be revived from sleep mode. We have had the new unit now for 48 hours. Firmware version is KC1 and WiFi is set to Sleep Policy is set to "When Screen Turns Off." WiFi has been kept running for 48 hours, whether or not there is a WiFi signal in the area. I used both the power button and home button to wake the phone and there has been no recurrence of the dreaded "Sleep of Death." Only way to revive the phone is to remove the battery. If your Galaxy Ace suffers from this problem do not bother downgrading the firmware to KB1, or setting the WiFi Sleep Policy to "Never" or trying some other fix. The problem affects only a small number of Samsung Galaxy Ace handsets, and if you have the Sleep of Death problem your phone is defective. Have the unit replaced since the problem does not affect all Samsung Galaxy Ace units and is not a Google Android problem. 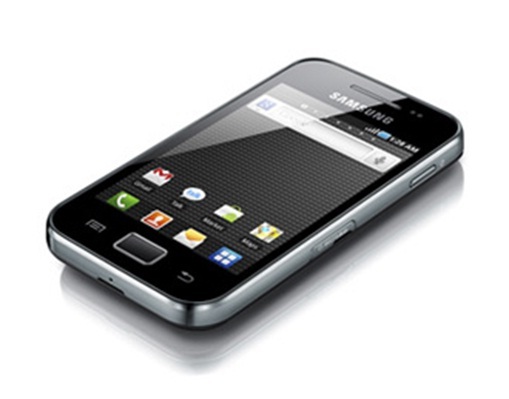 If you are planning to buy a Samsung Galaxy Ace it would be best to clarify with the seller its replacement policy. When I bought the handset from Absenson's I was told that it came with a seven day replacement policy. When I brought it back to them in the "Sleep of Death" state and demonstrated to them the problem I was informed that they do not have a technician in-house so the phone would have to be brought to a third party service company for evaluation. With a bit of "persuation" I got the unit replaced. It might not be that "easy" for everyone. When you buy a mobile phone clarify how their seven day replacement policy works. In previous cases where I had to replace a unit within seven days (an Asus netbook and an Acer laptop), the shops I bought them from diagnosed them in-house and replaced them promptly. Don't buy from a retailer who cannot handle the seven day replacement warranty in house. I am very satisfied with the Galaxy Ace (this is my fifth Samsung phone or tablet), and even if some units may suffer from the "Sleep of Death" issue, I would have no problem buying one or recommending one. Just make sure you get if from a responsible retailer. June 21, 2011 update: Phone is past 120 hours uptime with no sleep of death incidents or other problems without having been rebooted. June 27, 2011 update: Phone is past 250 hours uptime with no sleep of death incidents or other problems without having been rebooted. Thanks for this blog post, I love it. Bought myself a Galaxy Mini (GT-5570) about a month ago. First SoD occured only ~24h after I got it. Also, I'm having some sort of issue with the baseband(?) module, i.e. strange artifact noise is present during calls. Nasty ones, that is. Those SoD's are the worst though; leaving me all out of control, not knowing whom may have called me, when the handset lost touch, or anything. A couple of weeks ago I returned it for service, describing the issue(s) in detail on a included piece of paper. ~3 weeks later (a couple of days ago) my Galaxy Mini was returned with repair spec stating "Service: Calibration, upgrading firmware!" Funny thing, I took notes on firmware (baseband as well as phone) and they are all the same (~KC7). And next, what's up with "calibration" huh? I know what calibrations means when it comes to digital scales (i.e. setting offset), but on a Linux based Android piece of smartphone? My guess is that these guys have just placed a funny/pretentious word there "calibration" and ran the **# hard reset code and _hoped_ for the phone to be alright. News flash, it's not. Still issues are still present. I'm going to return it for another service tomorrow. Will keep you updated on my progress here in this thread. Like I said, my max up-time is <72h on this phone, which is really not okay. Sorry to hear about your problems. I am not sure what calibration means. There is a thread here http://androidforums.com/samsung-galaxy-ace/312084-randomly-turning-off-3.html where people tried all sorts of solutions none of which seems to work though. It really looks like a problem with defective hardware and not a software issue. In our case, the new phone still has to have the SOD recur. im having that too. god dammit. i was so happy with that phone until it started freezing :( setting wifi to sleep to Never didnt help. following your advice im replacing it tomorrow. are you sure that its a hardware problem, not software and replacing it will fix the problem? because ive read some opinions that its software and samsung is working to patch it. I do not know if there will be a software patch that will fix the issue. This phone came out in February. Awful long time for a patch to comes out. All I can tell you is that its been a month, without recurrence of the sleep of death issue since we had the unit replaced. Both the new and old phones had the same software and firmware. I really do not know what else to advise, but to take it back to them. Bought the Ace in April, 2011. Just over a month later I was facing the 'SoD'. Since then, my phone's had its software upgraded, and the motherboard changed, but that has made absolutely no difference. The service centre here just doesn't get. When I tell them to read about the problem online and that many users have faced/are facing it, they sort of shrug it off and tell me they aren't aware of it. From what I figure, they don't even want to know. I am asking for a replacement - definitely not another Ace - but they may not do so until they notice the issue. Believe this - I asked them why they carried out so-called repairs without detecting the problem, and I was told that the engineer did not understand. Does it happen if you do not leave WiFi on? Do you have the phone connected to a 3G connection when not on WiFi? Trying to figure out what causes it. what to do?? replacement with other model can be made or not?? Whether you can replace the model depends on the policy of the country and even store where you bought it. I just bought my samsung galaxy ace 3 days ago here in dubai and im already having troubles connecting to wifi, it always shows error. i tried restarting, typing *#*#526#*#* and tried to download wifi fixer but it didnt worked.. could you possibly help me cause i really need it. i bought this phone coz i needed communication to the Philippines.. thanks..
Have you tried upgrading it to Gingerbread? Have a Galaxy Ace for 7 months now. I experienced it turning off for no reason at all, I think twice during the first 2 months I had it, and that was while I used it as an Internet wi-fi hot-spot for my laptop. However, it never happened again. I love my Galaxy Ace, happy with it! Yes, I would think the problem affects only a small number of phones. We now have two Samsung Galaxy Ace units in use. The second one did not have any problems. So out of three units, one displayed the problem. At the moment there is no official software update form our provider available. While no definite solution has been found, maybe you want to keep an eye on this thread. Wow amazing information and personally samsung really capturing out the market and providing tough competence to the Nokia..
Secondly nothing is visible in gallery..formated the sd card...but same issue..all is waste of money. samsung tab no less good when compared to my ipod nano 5th generation to mine but probably galaxy tab tiggi have more resolution if I compare it with the ipod I have. The worst problem is the ipod battery quickly drains every so often I do not understand about this? It is good to hear there is a fix. Our Ace is still running on Android 2.2 and the replacement unit has no SOD issue. I had my galaxy ace for a month and no SOD issue. I installed an sd card and have had 6 SODs in 3 days now. To me it seems to be linked to sd cards and wifi. Hope they sort this out soon as I love the phone apart from this! Maybe try a different SD card. If you buy a brand new version of this phone now, you should have no issues on SoD. Bought my samsung galaxy ace one the 1st of November 2012. Been fine until today where i was walking home in the rain and when i got in it shut down. turned it on and was fine, for about a minute and then it happened again. Its now been around 20 minutes i have spent turning it on, then it turning of again, never happened before and i am not sure it being in the rain has effected it or has just been a coincedence. while i m watching video on samsung galaxy ace gt-s5830 it turn off automatically now it is not turning on at any cost what to do now? in my samsung ace, it goes off only when wifi is on, but not with 3G, well, I have to tell this went after rootting it I by mistake erase the full system. So I do not think is a defective issue, is a software issue. I had the same problem took it back to vodadphone t hree times before they replaced it. New one is now exhibiting same symptoms. Isnt it time Samsung did a recall ? I bought this phone for my son and it suffered the Sleep of Death within the first week. Took it back to Carphone Warehouse and it was replaced. Now the replacement phone has done exactly the same! Going back to the shop AGAIN later today but loosing faith in this model very quickly! I have galaxy Ace, I'm fed up! I have restarted the phone more than 30 times today. This is irritating! I have tried suggested fixed, but no one was useful. Im having same issues with samsung galaxy ace 2 phone. I have been experiencing this problem for last two days, my phone was working perfectly fine until i replaced the shattered front glass screen. Everytime I made a call or received an incoming call the phone would go blank although the call would go through. There was no way of bringing it back to life until I took out the battery. I had given up... until my Mrs. took over and solved the problem in just one minute. 4. and then "Uncheck"/turn off the Turn on proximity sensor option. So, how much have you spent on apps? Is now time to try Windows Phone 7? Sony Ericcson W8 Walkman Android - WOW and WHY? Gingerbread coming to the HTC Desire after all! No Gingerbread for the HTC Desire?